Questions about Kichler Lighting 42016NI? 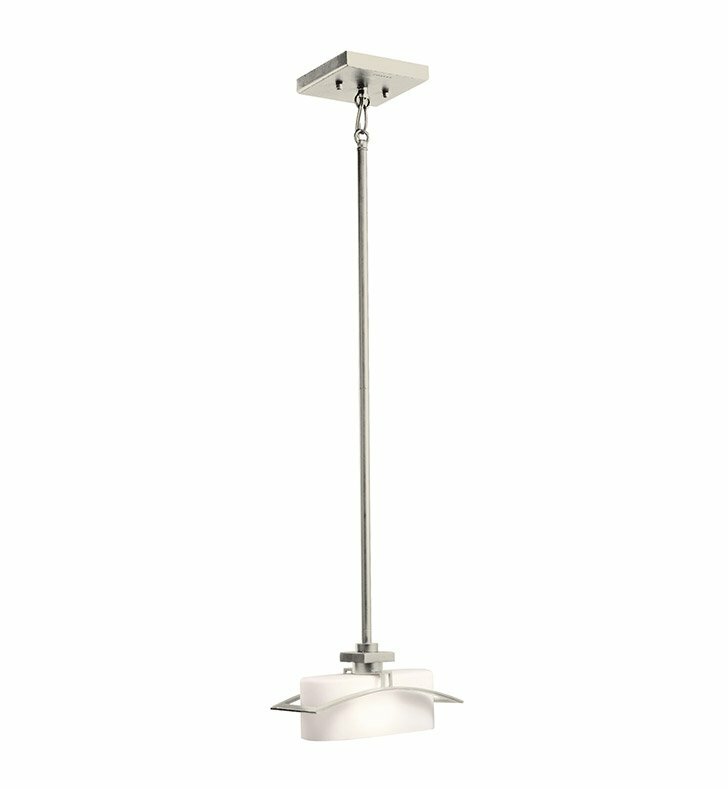 Simplicity reigns supreme with this 1 light mini pendant from the Suspension collection. A gentle flowing arch sits cleanly against right angles and a Satin Etched Cased Opal Glass shade. A Brushed Nickel finish adds the final elegant touch to this fixture. Dimensions: H 11" x W 4 3/4"